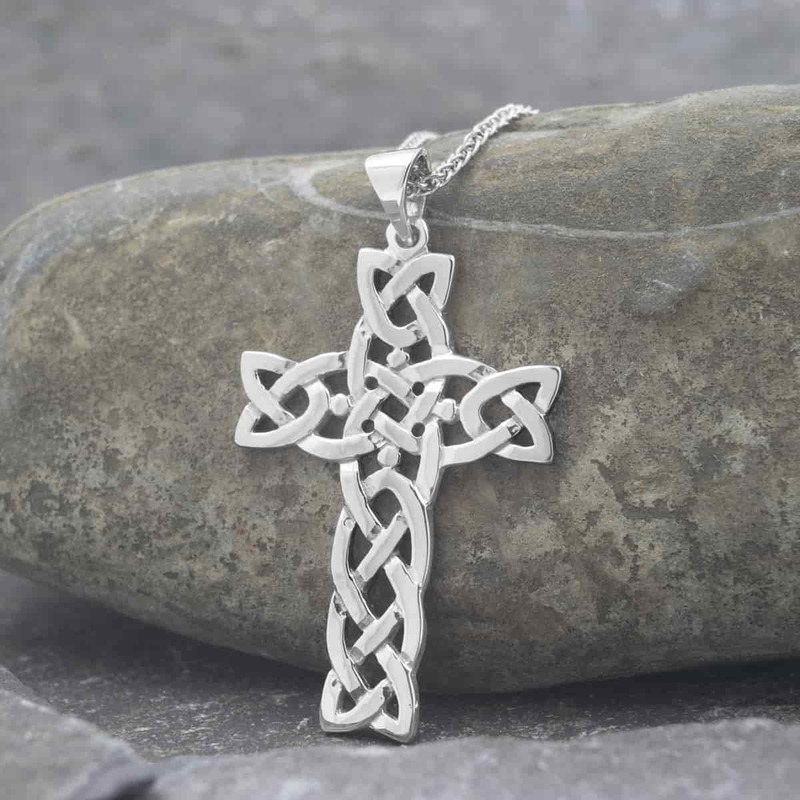 Traditional filigree Celtic cross in either 10k or 14k white gold. Available in three sizes. Handmade in Dublin.